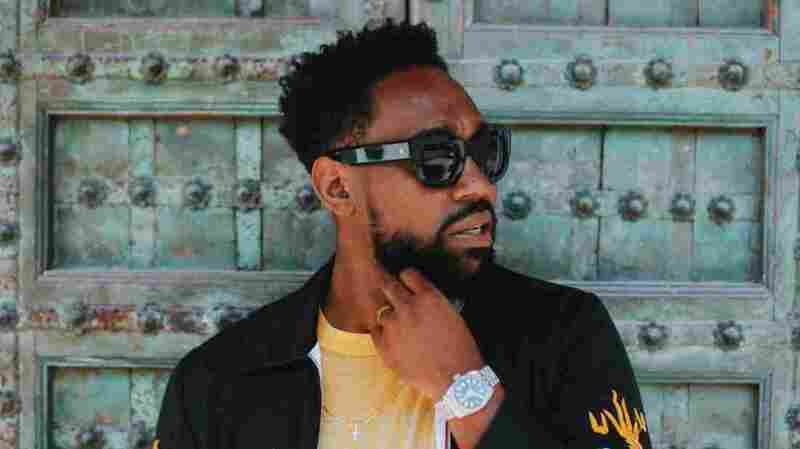 PJ Morton Feels Like A 'Giant' Heading Into 2018 Grammys The Maroon 5 member earned two 2018 Grammy nominations for his self-released solo album, Gumbo. 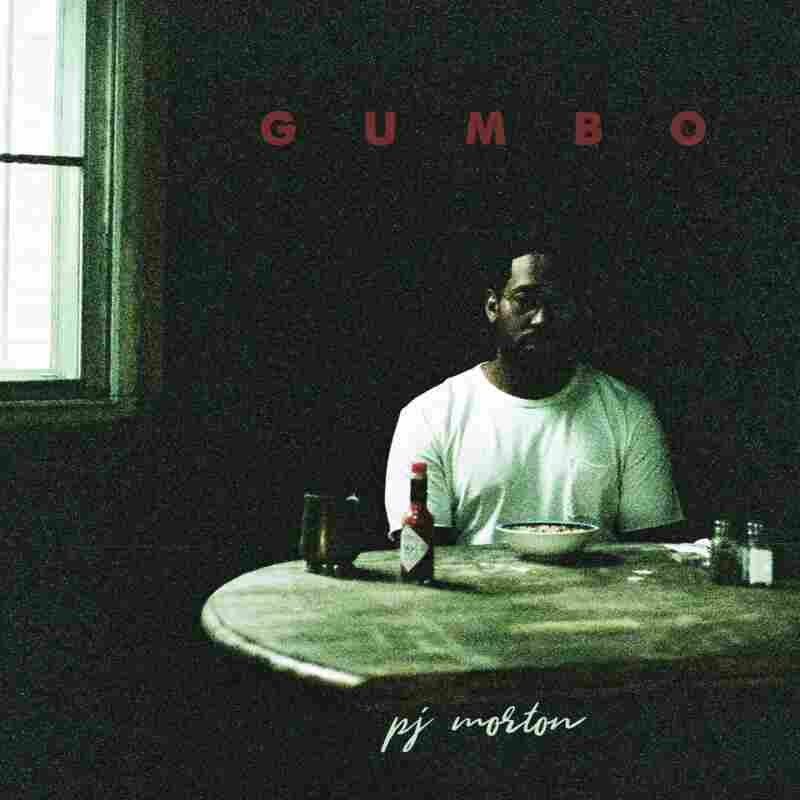 PJ Morton earned two 2018 Grammy nominations for his latest album, Gumbo. If you're a fan of Maroon 5, you've heard PJ Morton's work before. The New Orleans-hailing musician has been playing keyboard for the group since 2010 and became an official member in 2012. Morton's keyboard skills can be heard on hits like "One More Night," "Animals" and "Cold." But all the while, Morton has crafting his own music, with its own soulful Stevie Wonder-esque sound. Morton self-released his first solo album, Gumbo, in April 2017. (NPR Music deemed it one of the most slept-on R&B projects of the year.) The album, and the song "First Began," have earned Morton two 2018 Grammy nominations in the categories of best R&B album and best R&B song. Gumbo is up against some heavyweights in the album category: The competition includes Daniel Caesar's Freudian, Ledisi's Let Love Rule, Musiq Soulchild's Feel the Real and Bruno Mars' 24K Magic (Mars' album is also up for record of the year and album of the year). Morton acknowledges that he's a wild card in the race, but says he says the Grammys as a celebration of music as an art, rather than sales, spins or streams. "This is a small group of people that get nominated," Morton says. "And I'm against giants. To me, that makes me feel like my art is giant as well." Click the audio link to hear the full interview with NPR's Michel Martin. I definitely think there's a resurgence in hip-hop and R&B [in] urban music — black music, in general. And I'm glad to be a part of that. Fortunately and unfortunately, I was gonna have to be doing this music anyway: It's what is true to me and real to me, so I'm happy that a light is being shined on it again. I just think it's very important music. It's music that we feel very deeply, and I think people are in need of connection right now. We want to fill each other right now because the world is a bit crazy. And I think it's music that goes straight to the heart. I think that's why it's called Soul music at the root of it, because it gets straight to your soul. And that's whether we're partying or we're saying something serious. I think anytime we do that, it comes from a real place, and I think that's needed today. I'm such a fan of him ... I love that guy. He was the first artist I ever got to see and learn from, and I'm still such a big fan of him even though he's my father. I'm on the road quite a bit. I used to be his music director at church, and I used to travel with him as his traveling musician for years, but then my life and career got a bit busy. So we don't as much, but it's special when we do get a chance to do it. I didn't want to let my father down. I knew that he'd like me to be probably a preacher, let alone, at least be a gospel singer. So when I didn't want to do either, I felt like, 'Man, I might disappoint him.' So that was first, and then my father accepted what I did so much and became so supportive. And then I was concerned with the community because they were a few steps behind him, because he knew me personally and knew where it was coming from and knew it was a real thing with a real purpose for me. The church and the community was kind of a conflict, but then I got free of that, and I haven't really looked back since. It's years ago now, but I think it's that same old story — no different than what Al Green and Same Cooke and Aretha [Franklin] went through, you know? Singing devil music, or they would say, 'You should be using your gift for God.' I actually wrote a book about it some years ago called Why Can't I Sing About Love, and it was addressing that because I wanted to not only free myself, but free some other people from that thinking that gospel music equals God as opposed to your gift and how he's gifted you. I'm always coming from a place of love, but I started to write this song during the presidential campaign, and I saw a bunch of Evangelicals getting behind President Trump, and having to ignore a lot of things that he'd do and say in order to be comfortable to put their support behind him — [who] in the end fully put their support behind him. So they had to ignore the hatred that he spewed a lot of times, the division that he was promoting, you know? Words we wouldn't say ... All of that had to be ignored to still say, 'Hey, this is our candidate. This is the guy we believe should be the president.' That kind of brought me — not to get too deep — back to slavery days, where they would read the Bible and show the slaves, 'This why you're supposed to be slaves.' [They'd] find ways in the scripture to validate that and that's where that line comes from: "Your God had nothing to do with that." ... It freed me. I've been in church all my life and still am a strong believer in my faith, but it freed me. This is what I've always wanted to say. I started to get further away from that conversation while I was in the meeting. It started to sound like Charlie Brown teachers. I just wanted to be myself, and I'm like, 'Man, if you don't want to sign me for being myself, then I'm cool, that's fine. Find somebody that fits DJ Mustard or whatever producer, you know?' It just showed me how usually the endgame is just trying to find a hit song, and these days sometimes it doesn't even matter who the person is as long as they can put their [label] on it. Web editor Sidney Madden and web intern Stefanie Fernández contributed to this story.